No one wants to plan for their untimely death. It’s a terrifying prospect that your family could be suddenly left without you. However, planning for your estate is an important part of being an adult. You need to designate what happens to your possessions and who will care for your children. What most people don’t realize is that planning for your business is just as important, if not more so. With careful planning, small business owners can ensure that their business endures and will help support their families for years to come. What is your plan for your company’s future without you? Do you want to pass on your business to your family to continue to run or do you want to make it easy for them to sell it? Do you have a plan for your employees and have you ensured that their futures will be safe without you? These are just some of the questions to consider. Your family may not want to continue in your footsteps and these are conversations you will want to have with them before you start planning. While starting and growing your business may have been your dream, it might not be theirs. Make sure that if you plan to leave your business in the family that it is not a burden for them after you’re gone. Tax law is ever-changing and it is important to modify your plan accordingly. The good news is that New Jersey’s law recently changed and no longer imparts an estate tax (also known as the death tax) on deaths occurring in 2018 and afterwards. New Jersey does still impose an inheritance tax, but close relatives such as parents, grandparents, spouses, and children are exempt. Other relatives will be subject to the inheritance tax which can range from eleven to fourteen percent depending on the amount inherited. These relatives can include siblings and spouses of deceased children. There is good news when it comes to the federal estate tax as well. Businesses valued at less than 11.4 million dollars are exempt from the tax. Most small businesses fall under this valuation. If your business does meet this criterion, there are several actions you can take to minimize your tax exposure. You can develop a family limited partnership or divide the estate into several trusts depending on the size of the business. These two policies are essential for ensuring that your family and business continue to thrive without you. First you want to set up policies that will benefit your family. Then you will need policies that benefit your business. The payouts from the policies will enable the business to continue to operate during the transition between owners, enable payments to estate taxes, and/or buyout from other owners and partners in the business. Term life policies are expensive but the alternative is leaving your family and business without a safety net. Approximately thirty percent of small business owners have no estate plan. Among those who do have a plan, the majority are over five years old. If your business is growing, your estate plan may no longer match your needs and it most certainly is not taking advantage of the ever-changing tax code. Once established, you should review and update your estate plan every three to five years. This is why it is so important to enlist the help of an experienced estate planning team like Veitengruber Law. We can help you create your last will and testament and other documents pertaining to end of life like power of attorney, living will, succession plan, and estate plan. With careful planning, you can ensure the success of your business and the security of your family in the future. After a lifetime of hard work, it is only natural for parents to want to use their savings and investments to benefit their children and grandchildren after they are gone. Estate planning is a great way to secure your legacy and establish a plan for distributing your assets among your family members. It is important to note, however, that the execution of an estate plan also has the potential to create inheritance conflict between your loved ones. Even the most tight-knit families may experience some conflict, and for troubled families, the struggle is even worse. Anticipating inheritance conflict and taking proactive steps to defend against it are part of creating a great NJ estate plan. Here are some ways you can squash inheritance conflict before it even starts. Funerals are times of charged emotions and can often bring buried feelings to the surface. Take some of the pressure off of your children by planning your funeral details in advance. Determine if and where you want the services to be held and your preferred form of internment. Especially for re-married widows and widowers, determining in advance where (and with whom) you want to be interred can prevent controversy and hurt feelings. Naming an executor of your will establishes a certain order to the process of exacting your estate plan. Instead of leaving it to your family to figure out, name an attorney or unbiased third-party as the executor. If you would prefer to have a family member act as the executor, be sure you have a good reason for making this choice. You may choose to name your oldest child, or a child that has specific legal or financial knowledge. Keep in mind that being an executor is a lot of hard work and this is something you should discuss with them beforehand. You know your children better than anyone. Some children may have historically relied more on your resources than others. It can be tempting for parents to leave more to these children than to their more self-sufficient or successful children. Resist this temptation. Unequal allocation of assets can open old wounds and create resentment. It can be seen by those who receive less as a final and unforgivable show of favoritism. Treat your children equally. The exceptions to this are if a child or dependent has a significant handicap (and therefore may need more of your resources to get by after you’re gone) or if you know a child would use their inheritance to further an unhealthy lifestyle. In the latter case, you should be certain before you disinherit, which will leave a lasting impact of hurt and rejection with your loved one. Make sure you have a plan in place for how to divvy up your personal items and family heirlooms. Creating a plan for any valuable family jewels or other pricey objects is important to preventing fighting later. Who gets to keep your ring or the china you received as a wedding gift? Keep in mind that people can be very sentimental over even the smallest of objects. Your watch may not seem important to you, but it may hold immense sentimental value for your son. Do not discount these attachments or the conflict that can arise over dividing these sentimental tokens. Have a family conversation and come up with a plan that everyone can agree on for the selection process. One you have your estate plan prepared, tell your children and loved ones the basics. Call a family meeting so you can all discuss the plans and what impact these plans will have on the children. This is a good time to set realistic expectations of your children’s inheritance. But be cautious about what you choose to share. Estate planning is an ever changing process and you may choose to make changes that differ from the details you shared with your loved ones earlier on. You do not want your children to view these potential changes as a punishment or as though you have “taken away” something from them. Instead, give your children enough information so that they will know what to expect without providing any specific numbers or inheritance details. IMPORTANT NOTE: Inheritance conflicts ARE NOT inevitable! Careful and thoughtful planning with an experienced estate planning attorney can save your family a lot of heartache. At Veitengruber Law, we know your most important legacy lies with the loved ones you leave behind. We know every estate plan is different because every family is different. Our compassionate and experienced legal team will work with you to create a thoughtful estate plan that will bring peace and comfort to you and your loved ones. NJ Estate Planning: CPA or Attorney? Estate planning and asset protection are broad terms that encompass a wide array of financial and legal arrangements. A lot of people think that if they have a will in place, their estate planning is complete. A good estate plan, however, uses many more tools to help protect your assets and your legacy. There are so many different options when it comes to estate planning that it can be hard to know where to turn for the best advice. CPAs and attorneys both offer NJ estate planning services, but which professional is right for you? Ultimately, choosing between an attorney and a CPA for your estate planning needs will come down to the kind of advice you are looking for and your overall estate planning goals. CPAs, or certified public accountants, are trusted financial advisors with detailed knowledge of tax laws. An understanding of tax laws is important to estate planning because different estate planning tools are subject to different taxes. Tax laws change constantly and it is a CPA’s job to understand the implications of these changes. A CPA will be able to provide insight into estate and gift tax laws that could save you and your beneficiaries’ money in the long run. Complex estates with a lot of financial resources would benefit the most from the expertise of a CPA. That being said, a CPA is not a substitute for an estate planning attorney. Experienced estate planning attorneys will also be familiar with the intricacies of how each estate planning tool will impact taxes and fees. Additionally, attorneys bring their vast legal knowledge to the table. There is a wide array of estate planning tools and each one will offer different protections for different situations. An estate planning attorney experienced with asset protection will know which tools to use and how to maximize the protections on your estate to ensure you and your loved ones are protected for the long-term. 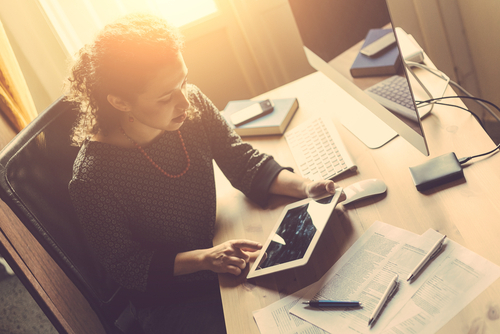 With so many estate planning tools available, it can be difficult to understand which tools are best suited for your purposes. Most people have a will, but is that enough? This is where an attorney can make all the difference in the strength of your estate plan. The process of establishing a power of attorney, revocable and irrevocable trusts, and other estate planning tools is complex and will require a deep knowledge of the law. An experienced estate planning attorney will be able to help you make informed legal decisions by creating an estate plan made up of purposeful tools customized to meet your specific goals. Your attorney can work with you and your family to distribute your estate as you wish and create plans that will benefit you and your loved ones in your lifetime and after. Estate planning attorneys may even be able to help you with the administration of your estate plan, either through the probate process or as the trustee of a trust. An attorney will have first-hand knowledge of your wishes and know exactly how to make sure to see your plans through to the end. The more complex your estate, the more likely it is that you will want to work with both a CPA and an attorney. While certainly not necessary for everyone, this kind of estate planning “team” can work together to create a detailed, tightly woven plan to protect you and your loved ones. A CPA can offer the financial and tax advice to supplement the legal knowledge of an experienced estate planning attorney. However you decide to seek advice on your estate plan, do your research. These professionals will be intimately involved with you and your family’s affairs during your lifetime and after you’re gone. It is important to choose someone you can trust. Estate planning is a very detail-oriented, complex legal process. It is in the best interest of you and your loved ones for you to consult with an attorney experienced with estate planning. The dedicated legal team at Veitengruber Law has years of experience providing personalized asset protection strategies based on each individual client’s needs. We treat our clients like family. Our attorney and legal team will work hard to protect your future so you can rest easy today. Should I Make an Online Will or Hire a NJ Estate Planning Attorney? Today, you can do pretty much anything online. From shopping to taking an online class to becoming ordained, there is typically a way to use the internet to accomplish your goals. There are even online tools to help you create a will. When it comes to estate planning, a will can help you prepare for end of life decisions and prevent disputes after you’re gone. A quick Google search will provide dozens of websites designed to help you create a will in less than an hour. It is important, however, to know all of your options. Before you create your will online, take the time to make sure this is the best choice for your specific needs. There are three main ways to create a will. The first option is to prepare the will yourself. While this option is free, it requires a lot of detailed planning and instructions. 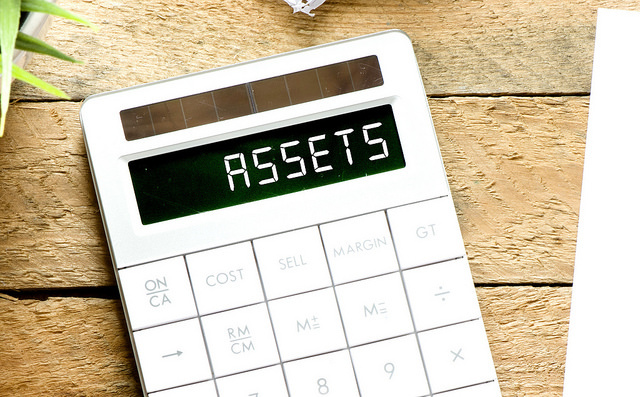 You need to think of every single asset you possess and the logistics of passing on those assets. If you accidentally leave something out of the will, your loved ones could face legal fees and tax consequences to try and fix the mistake. The second option is to use a do-it-yourself online service. These (paid) online services will give you access to software that provides suggestions and step-by-step directions as you create your will. While these services typically charge less than an estate planning attorney, they will not provide you with any legal advice. The final option is to seek the help of an experienced attorney to create a will. While this is the most expensive and maybe even the least convenient of the three options, it is undoubtedly the one that will lead to a binding, well-drafted will. An experienced attorney will know exactly how to protect your assets to the full extent of the law. The added human touch of working with an attorney will assure you get a will personalized to your individual needs. How do you know which option is the best for you? First, it is important to check the laws where you live. In New Jersey, the will must be signed by at least two witnesses who are required to watch you sign the will. The witnesses do not need to read the will, but they must be people who don’t stand to benefit from the will. If you are creating a self-proven will, you and your witnesses must sign a sworn statement before a Notary Public. NJ law does not require that you file your will with a government agency. Instead, you should keep it in a safe place where your executor can access it when needed. The next step is to take an honest look at your estate and what your needs are. Take into account your assets, your family situation, and the complexity of the will you will need. If you have little property and small investments, doing a will on your own or through an online service will probably work out fine. But the more complex your situation, the more likely it will be that you will need the advice of an attorney when drafting your will. An experienced attorney will be able to provide expert advice on different estate planning tools that may fit your circumstances better than a simple will. For most people what it really comes down to is cost. Obviously, the cost of creating a handwritten or typed-out will could be nothing or very low. For online services, the cost can vary from $10 to $600+ depending on what documents you need and the service you use. The cost of hiring an attorney or estate planner will vary, but it does tend to be the most expensive option at face value. 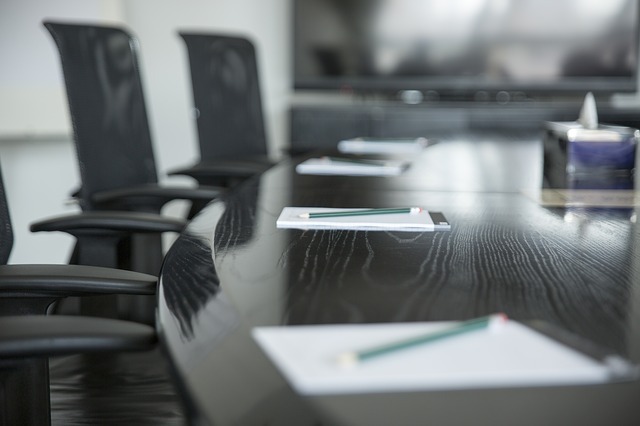 But it is important to note that these professionals know how to get it right the first time and can offer invaluable legal advice that can save you financially later down the line. Estate planning lawyers are knowledgeable about tax considerations, alternative estate planning tools, legal requirements, and dealing with a variety of complex situations. The more moving parts involved in a will, the more money you can save in the long run by hiring an experienced NJ estate planning attorney. When it comes to your assets and your legacy, you don’t want to have to second guess your choices. At Veitengruber Law, we offer personalized estate planning strategies. We can explain the full breadth of your legal options in plain language and help you make informed decisions about your assets. We will work with you to utilize the legal options that are best for your goals. Contact us today at 732-852-7295 for your free, no-obligation consultation. The typical mental image associated with estate planning may be an elderly person creating a will towards the end of their life. While estate planning is a process to help people prepare for end-of-life issues, it is much more than just creating a will. Estate planning is a concern for people of all ages who have assets to protect and/or family members and loved ones to care for. If you are looking for ways to protect your assets in 2019, our NJ estate planning team can help you get started. Every estate plan is personalized to the individual’s needs. Your plan will look different depending on your goals, your finances and your family situation. An estate plan can include information about medical care, who can make medical and financial decisions on your behalf and what your funeral and burial preferences are. It can ensure the protection of your assets during your lifetime and facilitate the transfer of assets to loved ones after you have passed away. An estate plan can help you establish a legal precedent for your financial, medical, and personal decisions during your lifetime and at the end of your life. Our team at Veitengruber Law will sit down with you to create a personalized plan to suit your needs. If you do not have an estate plan, some of the most important decisions of your life will no longer be under your control. Unexpected life events that may potentially cause you to become disabled, sick, or seriously injured could cost you the assets you’ve worked so hard for. Because it is impossible to foresee if and/or when you may become sick or unable to take care of yourself and your assets, it is crucial to establish an estate plan as soon as possible. In addition to this, some tools that help you during estate planning may take time to become legally effective. If you do not take the time to plan now, it could cost you or your loved ones later. The goals of an estate plan are multiple and varied depending on your needs. Typically, an estate plan determines what happens to your assets, helps you protect your loved ones, and gives you the ultimate control over your legacy. With an estate plan solidly in place, you get the peace of mind that you will not be leaving behind unfinished business and your loved ones are not burdened with making big decisions on your behalf. Instead of the legal system and individual family members making decisions about your assets, you will have the final say. You can determine what your legacy will be. It is also important to note that estate plans should be updated regularly to reflect any significant changes in your life. A divorce, the birth of a child or grandchild, or any changes to your family will need to be reflected in your estate plan across any planning tools you have in place. As your assets grow and you have more responsibilities, you may need to use different tools to ensure an easier process for you and your loved ones. We can help you keep your estate plan organized and up-to-date. What are some key tools for my estate plan? 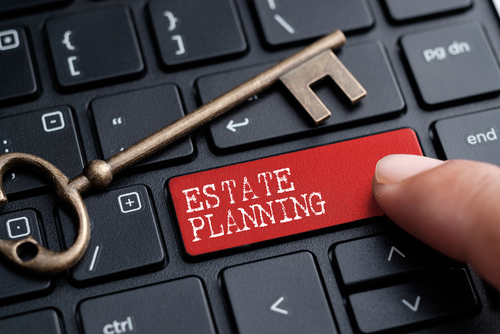 There are many different estate planning tools you can use to establish your goals. 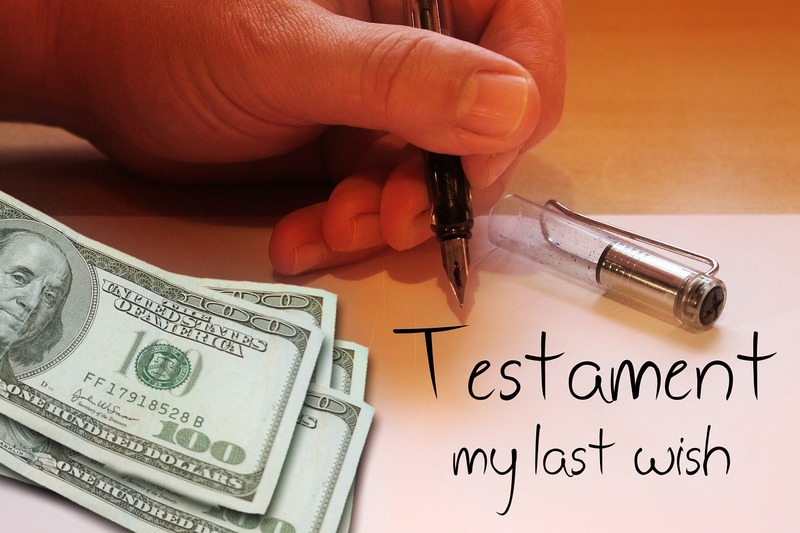 A last will and testament is one of the more well-known tools used to provide inheritance instructions. What a lot of people don’t realize about a will, is that in most cases your assets will have to go through a probate process, which includes costly probate proceedings, your assets going on public record, and a potentially lengthy legal process. This is to say that not every tool for estate planning is right for everyone. There are many different tools you can use to set up your estate plan. Some of these tools include establishing a trust, inter vivos gifting, a living will, advanced directives, power of attorney, life insurance, or even incorporating a business. Creating an estate plan involves knowing which tools to use and how to use them correctly. At Veitengruber Law, we can provide you with expert legal advice on optimally utilizing these tools to your advantage. Estate planning is a complex process with a number of potential elements involved. One error could cost your family and loved ones their inheritance. Our team has years of experience with New Jersey estate planning. We can help you establish a plan individualized to fit your specific needs and continue to work with you to modify that plan if your circumstances change. With Veitengruber Law’s specialized estate planning, you can sleep easy knowing that your legacy and the future of your loved ones has been adequately planned for. The passing of a loved one brings on waves of grief, joy, sadness, and more emotions that we usually can’t even put into words. The last thing that we want to do is think about our own or a loved one’s mortality. At some point, it’s necessary to prepare for what will happen after you die; it will save everyone a load of stress and headache. Part of that preparation is writing a will and having a plan for your estate, valuables, and other assets. Immediately after a resident of New Jersey passes away, the probate process begins. The probate process gives authority to the New Jersey probate court to distribute assets and belongings that remain. An individual is appointed by the court to take charge of the estate, itemize assets and financial accounts, pay off all remaining debt, and discern whether or not the existing will is valid. Once these tasks are checked off of the to-do list, the court will continue on by allocating inheritance to the correct heirs. · Possessions of the deceased individual that they owned in conjunction with someone else, which are then automatically passed on to the living co-owner. · Assets that the deceased individual appointed to an heir outside of the will, such as a 401k or IRAs that have been named to a beneficiary. · Proceeds from life insurance (paid according to the terms in the contracts) or pension benefits that can be allocated to a designated beneficiary. · Assets that are contained in a revocable living trust. Sometimes, it’s not possible to plan for one’s own mortality, especially if an individual dies at a young age or unexpectedly. In the situation where an individual passes without a will, the probate process takes over. Sometimes, surviving family members can utilize a simplified version of New Jersey’s probate process. Both less expensive and quicker, the streamlined version is possible if these requirements are met. · The total value of all assets remaining does not surpass $20,000. · The surviving spouse, family member, or beneficiary is entitled to the inheritance without probate. · A surviving spouse or family member does not exist and the value doesn’t top $10,000. · With permission of the other heirs, one heir can submit an affidavit to the court in order to obtain all assets. The surrogate’s court in the county in which the deceased individual resided is responsible for carrying out the process. Ideally, the whole procedure should take less than a year. In as few as 10 days following the individual’s passing, the executor can request to be designated as the official executor of the estate. To do this, you’ll have to show a copy of the will and an authorized copy of the death certificate. If your loved one does not have a will, the court will name an administrator. According to New Jersey law, the surviving spouse or domestic partner is given the first choice of being appointed administrator. In terms of handling estate assets, the administrator will consolidate all existing cash accounts and money that has come into the estate, such as compensations or refunds. These leftover funds are applied to any expenses for the estate. If possible, it’s best to attempt to streamline the probate process. This saves both your time and any of the beneficiaries’ time. 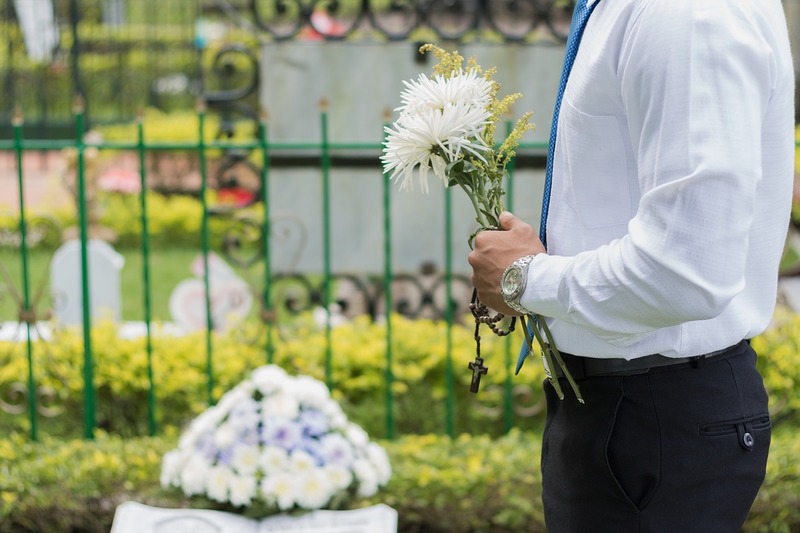 The cost is another point to consider, especially if loved ones are forced to resort to their own financial accounts to pay for funeral expenses. For more information on the probate process or to contact a professional to guide you, contact our office today. For most people, the thought of death can be frightening. No one likes to think about what will eventually come at the end of their life, but it is a fact that we have to face. Life on Earth does not go on forever. Knowing that, it’s crucial to plan ahead at least a minimal amount, especially when it comes to financial matters. Not only will you be assured that money and assets will go where you’d like them to, but your family will be thankful for your initiative as well. For the big events of life, we make lists and try to be as prepared as possible. College. Weddings. Babies. Jobs. Retirement. The end of life should be no different. Of course, we have those things like skydiving, going on a cruise, swimming with a dolphin, and visiting Italy on our bucket list, also known as things to do before we die. Just like these things compose one of life’s most important lists, so does writing a will, appointing a power of attorney (POA), and considering options for long-term care. Innumerable, weighty decisions have to be made within just hours of a loved one’s death. With the already existent burden of anxiety and grief, a family doesn’t want to have to think about making all of these decisions after a loved one passes. In addition to financial matters, a family also needs to plan the funeral. Though we don’t want to think about it, making burial arrangements before death exemplifies concern and care for your family members. Over and over again, family members have shown gratitude and confirm the relief and comfort when a family member has pre-arrangements. 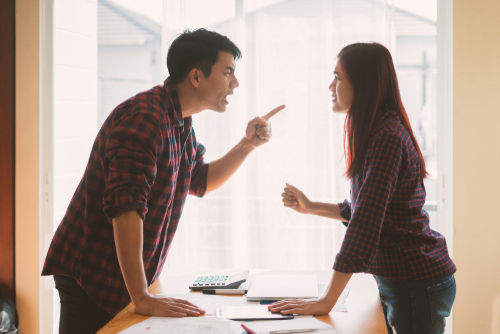 Any decision that has to be made after a person passes has the potential to cause disputes between family members. Some family members are going to feel that they have a stronger say in the decision-making process, while others will argue their point of view. Unfortunately, you won’t be there to give them your opinion. Again, by making arrangements before you pass, you eliminate the potential for many issues, before they arise. There are a few clear-cut steps you can take to side-step some of the issues mentioned above. 1. Power of Attorney (POA). The first and most crucial decision that you need to make is to appoint a reliable POA. It’s key that this individual is trustworthy, financially intelligent, and is someone that knows you well. When you are sick or unable to do so yourself, this person will deposit checks, take care of bills, and any other financial matters. In the United States today, people are living longer, which means that there’s a higher chance that more individuals will be living with chronic diseases as they age. Some of these diseases can impair a person to the point that they cannot take care of their money. That’s the point where a POA steps in; an individual that can take over for someone in order to ensure the highest quality of life for as long as possible. 2. Write a will. Since estates worth up to $3.9 million are tax exempt, a will is usually sufficient estate planning for most individuals. A trust is can be produced to cut down on estate taxes and circumvent probate, but taxes aren’t as much of a concern in the current day. Also, the procedures are simpler, so probate is not as common either. Usually a will and a steadfast POA will get the job done. 3. Living will. Since you’ve already appointed a POA, this step only involves writing a living will, or an advanced-care directive. Your POA will implement your wishes at the end stages of life. Again, when you name a POA, it needs to be someone you completely trust. If you don’t create a living will, your loved ones may run into some horrific problems. If a person is brain dead, a family needs to decide whether or not the individual should be kept on life support. If you’ve already delineated this in a living will, there will be no questions about it. In addition to these 3 major points, as well as the funeral arrangements, there are a few other minor choices you’ll want to contemplate. Consider the option of donating organs when you pass. Also, look into life insurance if your partner or kids will need financial support without you. Finally, consider long-term care. If possible, it’s best to stay out of nursing homes, as they are incredibly expensive, but if it is a necessary possibility, then you should give it some serious thought. The most important concept: start planning sooner instead of later (the way we should approach all aspects of life). None of the above steps will happen without conversations with children, spouses, and maybe even your own parents. It’s a tough topic to broach, but it’s absolutely necessary. A few early and simple conversations can save a lot of headache, broken relationships, and hurt feelings in the future, as well as ease your own anxiety about death. How Does Inheritance Income Affect NJ Bankruptcy Rulings? When preparing to file for NJ bankruptcy, it is very important to take a full and detailed account of all of your assets. This does not just include current assets, but future assets as well, e.g. any potential inheritances. Knowing how your inheritance income affects bankruptcy filings in New Jersey is important to understanding your rights while filing for bankruptcy. You may have advanced notice of an inheritance if you are aware of your inclusion as a beneficiary in a will. Otherwise, an inheritance could come as a surprise. You could be included in a will without your prior knowledge or you could receive the inheritance through normal operation of law in the event that there was no will at the time of death. Regardless of how you came to receive the inheritance, it is important to understand if the inheritance income is part of your bankruptcy estate or not so you can make sound financial decisions. Typically, after bankruptcy is declared, all assets and liabilities become part of the bankruptcy estate. The bankruptcy estate is then administered by a bankruptcy trustee. There are four ways to file for bankruptcy in NJ, but most bankruptcy claims fall under Chapter 7 or Chapter 13. Under Chapter 7, the trustee is responsible for determining which assets the debtor can liquidate (sell) to pay their creditors. Under Chapter 13, the debtor is not required to give up personal property in order to pay off debts. Instead, the debtor will be required to make monthly payments that will be split between all of their creditors. How much a debtor pays under the Chapter 13 payment plan will depend on the amount of non-exempt interest in real and personal property. That being said, there are certain exemptions when it comes to whether or not an inheritance will be included in the bankruptcy estate. Debtors are entitled by law to exempt a certain amount of property from their bankruptcy filing. Under Chapter 7, a debtor is entitled to keep some specified property from being liquidated to pay creditors. Under Chapter 13, a certain amount of the debtors’ assets can be exempt from inclusion in determining a payment plan. There are different exemption amounts depending on the type of asset in question. Congress periodically makes changes to these amounts to account for changes in inflation so it is important to keep up with these changes. While there is no separate exemption for inheritances, debtors can include any inheritance income under their designated “wildcard exemption” (11 U.S.C. §522(d)(5)). Is your inheritance eligible to be included in your bankruptcy estate? All assets owned at the time of filing are part of the bankruptcy estate. Pursuant to NJ bankruptcy laws, property of the estate includes “all legal or equitable interests of the debtor in property as of the commencement of the case.” The timing of when an inheritance becomes part of a bankruptcy estate is crucial to understand and varies depending on what kind of bankruptcy the debtor is filing. Under Chapter 7 bankruptcy, an inheritance is considered part of the bankruptcy estate if the debtor becomes entitled to the asset within 180 days of the date bankruptcy was filed. This is to include property which the debtor becomes entitled to acquire by inheritance. The 180 days starts the day bankruptcy is filed and ends with the date of death. The time frame in which the debtor receives the inheritance does not matter. The date of death is legally considered the date on which the inheritance enters into the debtor’s possession and therefore enters into the bankruptcy estate. This is to deter preemptive bankruptcy filings where the debtor intends to rush a bankruptcy claim in order to avoid having the inheritance affected. Under Chapter 13 bankruptcy, any inheritance received after the bankruptcy filing date but before the case is closed or dismissed is considered property of the bankruptcy estate, regardless of the time it takes to close a case. Under Chapter 13, there are specific legal statutes designed to expand what is considered bankruptcy estate property in order to include inheritance that is acquired beyond the 180-day limitation observed under Chapter 7. Any inheritance acquired during the entirety of the bankruptcy case will be subject to the terms of the repayment plan. It is essential in any bankruptcy case to determine which assets are protected and to acquire adequate pre-filing planning and analysis for your specific bankruptcy case. Whether you need to eliminate your debt in its entirety under Chapter 7 or you need to reorganize your payments to creditors under Chapter 13, the qualified and experienced attorneys at Veitengruber Law are here to help. If you are unsure of your rights, please call us for a consultation. Let’s imagine a quick scenario: Bob is a newlywed who starts a new job with great benefits. During the hiring process, he signs up for the life insurance policy offered through his company. As a beneficiary for this policy, he designates his spouse, Amy. Time passes, Amy and Bob get a divorce, and Bob gets remarried to Lisa. Years go by and eventually Bob dies, leaving behind his life insurance. When Lisa goes to collect on Bob’s life insurance policy, the insurance company informs her that she is not the beneficiary of his policy. Instead, the money will go to his first wife, Amy. Despite his divorce, Bob never went back to change his beneficiary designation forms. This is unfortunately a common legal issue for people who have been divorced, separated, or remarried. These beneficiary designation forms are typically included in the paperwork you fill out the first week at a new job. As a new employee, you will have the option to fill out designation forms for your potential retirement assets, including 401(k) or IRA, your life insurance policy, and other benefits. Contrary to popular belief, these beneficiary designation forms legally override any existing will or trust, regardless of which document is most recent. It is easy to forget about beneficiary designation forms while going through the ups and downs of life. Years can pass, and despite many changes in your personal life, you may never think to go back and updated these documents. This is a huge mistake, especially because it is so easily resolved. We at Veitengruber Law want to stress the importance of changing these documents whenever your circumstances call for it. Some states even have laws protecting insurance policy holders and their loved ones from these oversights, but the legal importance placed on beneficiary designation forms can lead to problems even in these instances. In Minnesota, for example, there is a revocation-on-divorce statue currently under review in the Supreme Court and the fate of cases affected by this statue hangs in the balance. Regardless of the laws in your state, be proactive and protect yourself and your loved ones by ensuring your assets are designated correctly. Veitengruber Law recommends doing a periodic self-audit to assess your preparedness in these events. Do you have a 401(k), IRA, or other retirement assets? Do you have a life insurance policy? Who is listed as the beneficiary for these assets? If you find that you do have some changes to make in who is designated as the beneficiary on these forms, don’t wait to change them. Life can change abruptly and unexpectedly, so make sure you are prepared today for whatever comes tomorrow. The last thing you want is for your loved ones to become entrenched in a legal battle after you are gone. For most of us, our loved ones are at the forefront of our thoughts as we plan for the future. If you have retirement benefits or a life insurance policy, make sure you are including updated beneficiary designation forms in your plans for the future. At some point in our lives, we all come to the end of the last chapter – the place at which life ends. Sometimes this chapter is short and sweet and for others, the process can be drawn out and more difficult. 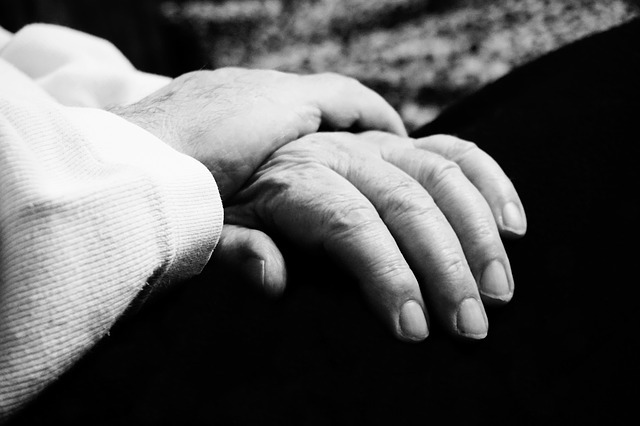 Often, at that time, many people simply want to keep their loved ones close and help them uphold their dignity. As the caregiver, it’s your job to make sure this happens. Your goal is to honor their dignity while also respecting their final wishes. If your loved one’s death was sudden, you may not have been given the chance to discuss their wishes before he or she passed. Without this knowledge, it can be difficult to know exactly what he or she would want, but it’s important make your best judgement for each decision that you face. On the other hand, you may have had the opportunity to talk with your loved one if his or her death was not unexpected. This facilitates decision-making when it comes to final wishes. There is research that has shown that many seniors lack the necessary tools to ensure that their wishes are going to be upheld and carried out by caregivers or family members. It’s possible that this is due to the fact that people avoid the topic of death. Individuals are more likely to think about this when a family member is ill, but in the case of a stroke, heart attack, or other deadly event, it will be too late. Sometimes, decisions are made for that person that go against what the individual actually would have wanted if he or she would have had a say. There are two ways in which you can be sure that your final wishes will be respected. First, gather the correct legal documents. Second, don’t hesitate to communicate your desires to family members and others close to you. The two important documents that are necessary for every individual include a living will and a power of attorney for healthcare. A will, sometimes called an estate plan or last will and testament, usually refers to information that delineates your loved one’s final wishes in regards to his or her assets. Typically, an estate plan will detail what assets go to each family member or friend. A living will is a type of an advance directive in which an individual specifies what actions are to be taken or not taken in the event that they are incapacitated and can no longer make decisions for themselves. A medical power of attorney is the most significant document that any person should have in place. This document authorizes an individual (an agent) to make decisions on behalf of someone who is incapacitated. If an individual is forced to make important decisions regarding their care, but is unable to due to a medical issue, he or she will want a trustworthy family member or friend that can uphold their wishes and quality of life in that situation. It’s not a good idea to store these documents in a secret or conspicuous location. Communication with your spouse and other loved ones is key in this process. So many different names for these documents exist in each state, making it ever more important to have a bit of background information on these end-of-life processes. Because a regular power of attorney cannot be used in medical decisions, it’s necessary to designate a medical power of attorney or healthcare proxy. When and only when an individual is unable to make his or her own medical decisions, a proxy can then step in. Although it’s a difficult planning process, thinking ahead and making important decisions concerning these crucial situations while you’re healthy can ensure your wishes are carried out. The decisions about these documents clarify your wishes to your family, close friends and health care providers.